One of the most frustrating things that can happen when creating homemade gifts, is not having enough time to perfect your packaging! I wouldn't want that to happen to anyone, so I've made this page and posted a few tags designed to add that special finishing touch you're looking for. Packaging matters... A beautifully presented homemade gift makes a great first impression, allowing the love and quality you put into your gifts to shine right from the beginning. 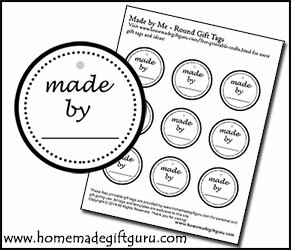 Please feel free to use any of the gift tags on this page to help you perfect your homemade gift packing. Use them to add warm wishes, to include your name or to share that your gift is homemade in a fun and classy way. 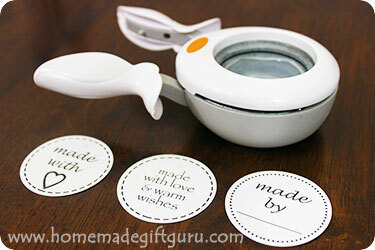 These free gift tags are designed for compatibility with a 2" round punch. Here's my favorite one... this round punch is the best I've ever used because you can see exactly what you are punching. This makes it possible to punch images and photos precisely how you want them, which is awesome! These tags go great with these DIY canisters! 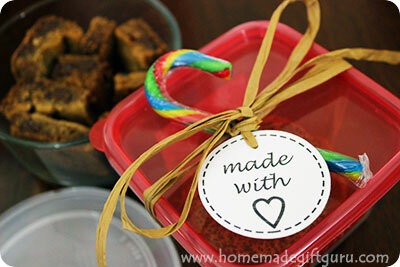 I find myself adding them to my homemade gifts often and I hope you do too! 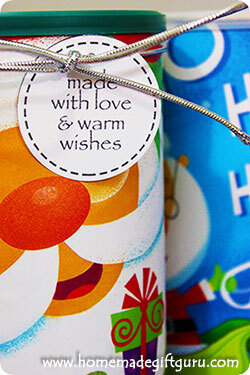 Click on the gift tags you want to print and a new window will pop up, giving you access to the full page. Simply print the .pdf on card stock and either cut with scissors or punch with a 2" round punch. 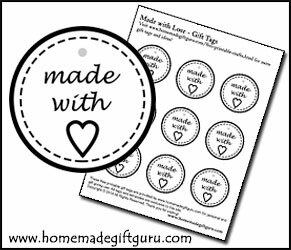 Here's a few more "Made with Love" printables you may like. 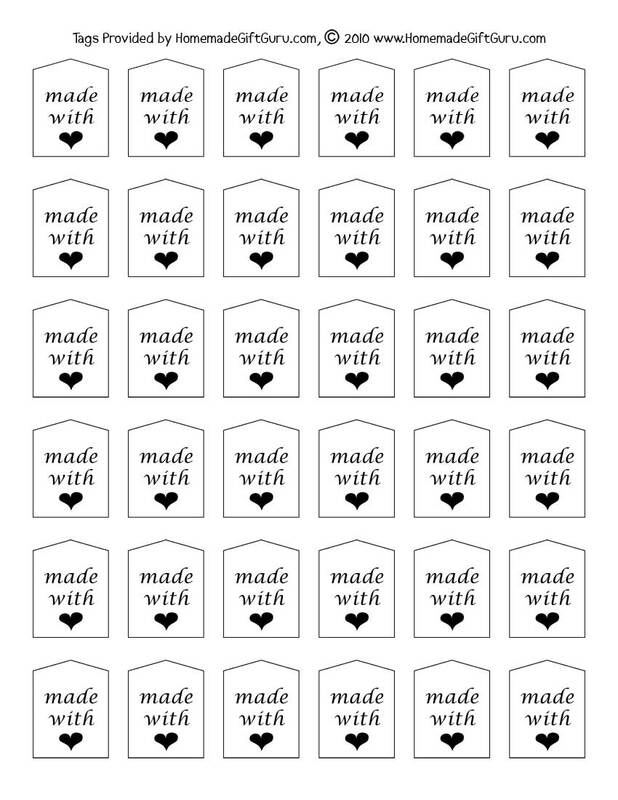 Or if you prefer, there's several more ready-go-go free printable tags for various holidays and occasions here on the free gift tags main page. 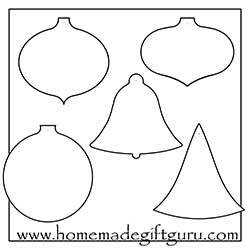 Print These Christmas Ornament Gift Tag Templates!